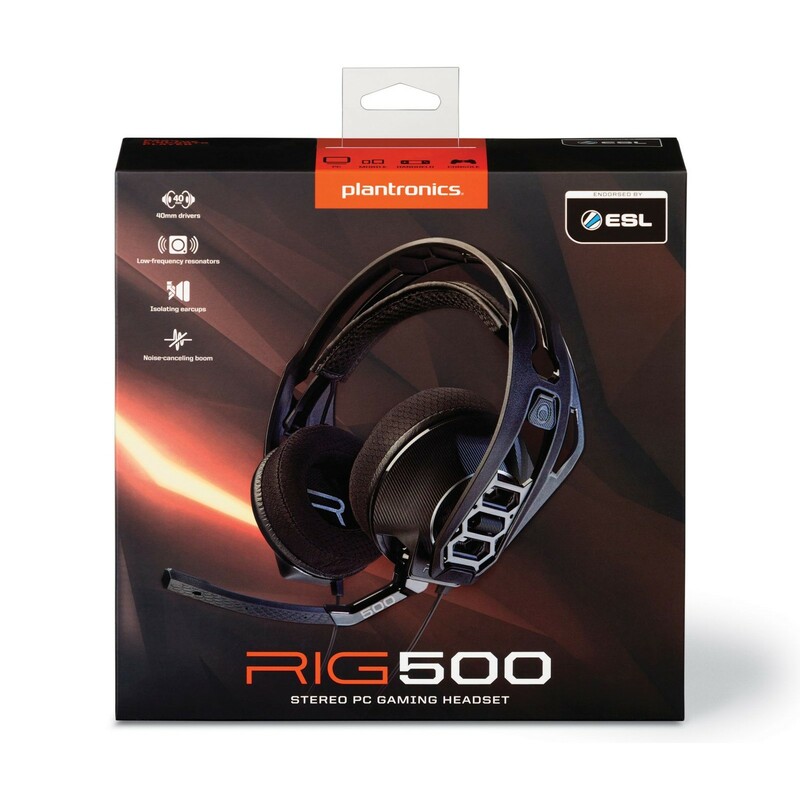 The Plantronics Rig 500 is a quality gaming headset that has been endorsed by ESL for its performance. 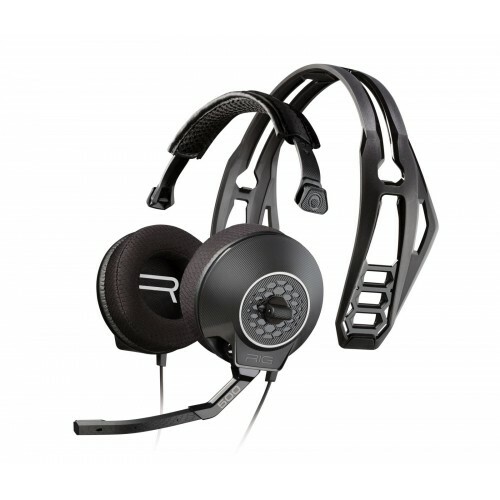 Durable and lightweight build combined with outstanding audio quality are what make this an ideal headset for your PC gaming. Equipped with its dynamic 40mm drivers and low-frequency resonators the Plantronics Rig 500 delivers exceptional sound that boosts the bass response without destroying crucial mids and highs. For a fully immersive audio experience for your gaming the Rig 500 is a headset for you! The lightweight frame and isolating ear-cups have been designed to remove distractions and keep you focused on the game at hand. 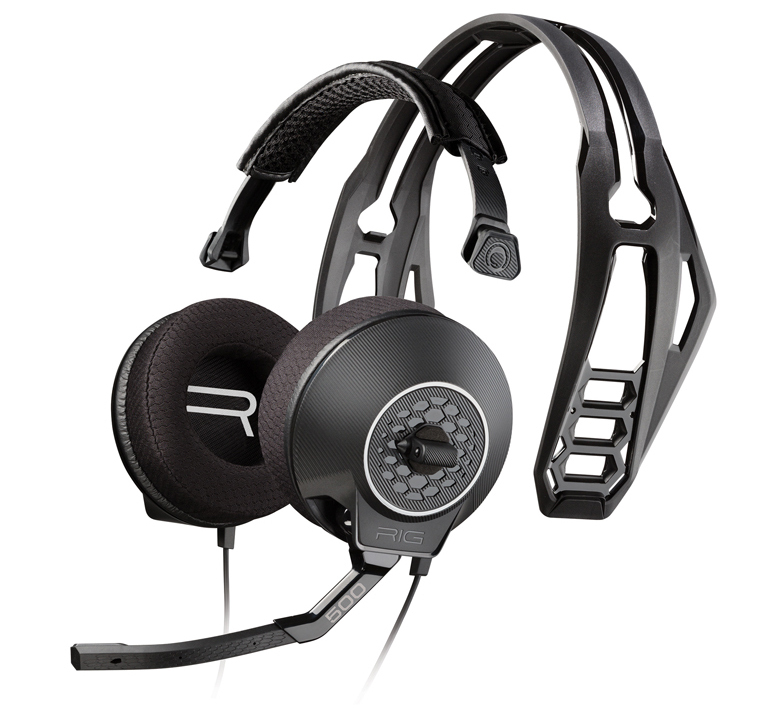 And with built-in durability and comfortable fit the Plantronics RIG 500 is perfect for longer gaming sessions. With the RIG 500 you have the freedom to change out components to match your needs. Choose between the immersive style of isolating earcups to eliminate distraction or opt for the optional open, vented cups to better breathability during longer sessions. 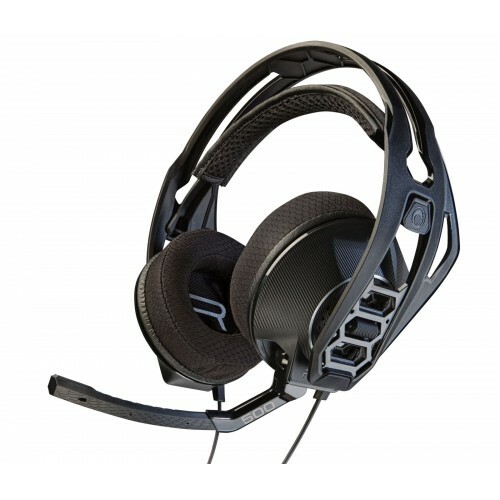 The flexible headset frame can also be swapped out for two other colour options: translucent or camo. The Plantronics RIG 500 is a durable and cost effective way to improve the audio quality of your gaming. Really comfortable, great sound quality and excellent value for money!